There's a saying in the video game industry that nobody really leaves they just reorganized every few years. After spending over thirteen years in the game industry I would normally say that statement is true, but I have seen a few exceptions and decided I too would become one of them. Don't get me wrong I love video games but they are the tip of the iceberg in the future of escapism; the writing is on the wall, interactive entertainment is about to go through a massive evolution. Both virtual and augmented reality are just the first glances at new doorways into the imagination. Just as I departed television post-production in 2002 at the dawn of the original XBOX; I have decided to cross over into the world of modern theme park design to once again explore a totally new frontier. To achieve this I was lucky enough to discover Falcon's Creative Group in Orlando Florida: amazing people! From theme park engineers to visual effects masters pulled from the best Hollywood studios; This group has everything I was looking for in a team. My very first project is one of my greatest interests: the American space program. 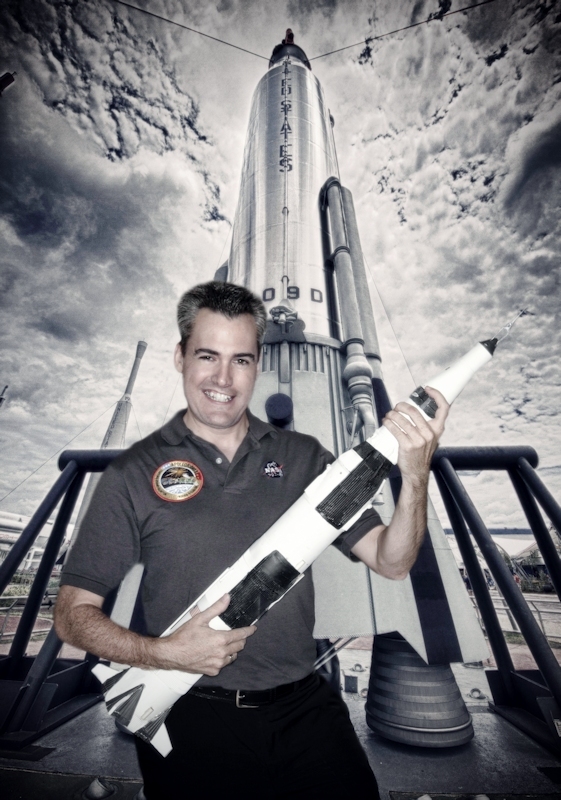 I am one of the lucky ones to help tell the stories of "Heroes and Legends at Kennedy Space Center". This is very much living a dream to me. I could not be more excited about this journey and to play a part in what wonders await us all.